Kohima the capital of the state of Nagaland is gradually on its way to emerging as an important tourist destination in North East India. It already attracts a fair number of visitors from different parts of the country but the number is likely to rise substantially in the years to come. If you are planning a trip to this small hilly state do not worry about accommodation for there are several Hotels in Kohima. 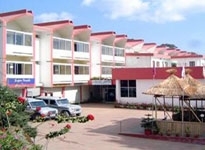 Majority of the Hotels in Kohima belong to the budget category. 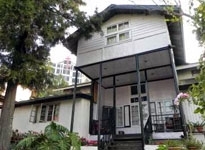 There are indeed very few Hotels in Kohima which have been assigned a star status. The small number of hotels that can be classified as luxury hotels are at the most three star hotels. However this should not perturb you in the least. The absence of the glitz and the glamour is well compensated for by the impeccable personalized services that are provided by the ever courteous and competent staff of the hotels. Their warm and cordial behavior makes one feel so special and so wanted that one does not really miss the extra frills that come with the star category hotels. Moreover they are adequately well equipped with the needful modern amenities that promise a comfortable stay if not a very luxurious and opulent one. Some of the Hotels in Kohima are run by the government whereas some are private owned. The rooms are more or less modestly but tastefully decorated. They exude warmth and are cozy to live in. Snug beds, televisions, telephones are a regular feature of the rooms. 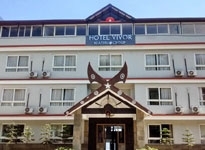 Apart from the accommodation, one can also avail of several other standard facilities and services at extremely reasonable prices when staying at the Hotels in Kohima. 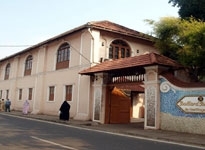 So the next time you are here either on business or to savor the beauty of this picturesque place or to visit the attractions that include the War Cemetery, the Barra Basti, the State Museum, the Zoological Park and others, always know for sure that you will find a hotel where you can put up in and thoroughly enjoy your stay.